I’ve asked our team’s Sports Nutritionist (also my son) of iMadgen Nutrition to guest post an article on nutrient fuelling. For more information on his credentials or his company, please feel free to check out iMadgenNutrition.ca . Also be sure to check out Kevin’s free ebook offer, which includes a recipe for a no-bake nutrition bar. Nutrient Fuelling is a term I use quite often to describe the science behind providing a swimmer’s body with the right nutrients, in the right quantities, at the right times, to enhance your training. Generally, nutrient fuelling refers to the macronutrients (vs. micronutrients such as vitamins and minerals). Our body is much more sensitive and responsive to acute changes in macronutrients (fats, carbohydrates, proteins) than it is to acute changes in micronutrients (i.e. taking a multivitamin right before training will not likely affect your training performance). What will likely make a difference in your swimming and performance is consciously choosing when to consume fat, carbohydrate, and protein surrounding your training sessions, that’s the benefit of nutrient fuelling. Dietary fat intake plays a strong role in acute changes of anabolic hormones such as testosterone within a swimmer’s body. Essentially, consuming healthy fats can elevate circulating testosterone levels for a period of time. Timing this fat intake to 3-6 hours prior to training will place your training period within your window of elevated testosterone. This applies to both men and women. Women’s testosterone will not elevate as much as men’s will, but women are also much more sensitive to the effects of testosterone. This effect is healthy and well within normal hormonal ranges, and is in no means comparable to any infamous artificial “hormone therapy” concepts for performance enhancement. Simply put, having a favorable hormonal profile while training will aid in recovery during and after swim practice. Unfortunately, fats take quite a while to digest, hence the 3-6 hour buffer between consumption and practice. This means that as your day approaches practice time, fats should be avoided, as they will not have adequate time to digest, and worse will slow the digestion of other nutrients that you may want to utilize during your hard training. For more on Dietary Fat and Hormones, subscribe to iMadgen Nutrition here for a free ebook + recipe! Moving on, carbohydrate intake can play a huge factor in a swimmer’s endurance. Glycogen stores (internal carbohydrate stores) are correlated with the ability to sustain a given intensity over time. This is directly applicable to swimming. Glycogen depletion is a sure sign that performance will decrease. This is where external carbohydrate sources can play a role. Carbohydrate intake during prolonged training (1-2 hours) can help spare glycogen stores, thus prolonging endurance and maintaining intensity into the later parts of a practice. This will lead to greater adaptation to training sessions, and subsequently a better trained athlete. Even with carbohydrate fuelling during practice, it is not enough to completely stop the use of internal glycogen stores (if it was, you are not training hard enough). So, carbohydrate intake post-training is also a strongly supported behavior to help replenish glycogen lost during practice. This prepares you for your next practice or training session. Dextrose, a high-glycemic carbohydrate is the most effective way of carbohydrate fuelling/recovery in-training and post-training. An interesting response occurs with some swimmers, not all mind you, when they consume carbohydrate immediately prior to practice (i.e. within 1 hour). A cascade of unfavorable changes occurs within the body, leading to a period of fatigue during practice. When the carbohydrate source is consumed, it is absorbed, and increases blood glucose. Because this source of energy is not being used at that moment, insulin rises, which sends the excess glucose to the liver and muscles to be stored as glycogen, or to be converted to body fat. Then, as practice gets underway, the glycogen stored in the muscles involved in the exercise is utilized for energy. Once this source of glycogen has been exhausted, blood glucose acts as another sources of energy for these muscles, eventually being used up as well. Usually, this is where liver glycogen will be used to resupply blood with glucose, BUT, insulin is still high from the initial spike in blood glucose, and just as insulin allows glucose to leave the blood and enter the liver, it prevents the opposite action from occurring. The liver is unable to use its stored glycogen to raise blood glucose, and subsequently cannot provide muscles with a source of energy. Effectively, you have shut the door on your supply of energy for this training session until your insulin levels have returned to normal (may take 20 – 60 min). Some experts believe this is the mechanism that led to the common “second wind” concept. If you could not follow that, here is the take home message: When some swimmers consume carbohydrate within one hour prior to practice, the body does not respond well and this leads to a period of fatigue relatively early in the practice. Experiment with this and see if you are affected by pre-training carbohydrate intake or not. Protein intake is relatively new to the pre and in-training world as far as supplementation goes. Protein will serve to raise circulating amino acids during a swim practice when taking immediately pre and/or in-training. Certain amino acids called Branched-Chain Amino Acids (BCAA) are easily oxidized in skeletal muscle, providing an available energy source. Amino acids also help improve muscle repair during recovery periods between sets. Keep in mind that protein is digested slower than carbohydrate, and not nearly as much can be consumed in a practice. Whey protein is a relatively fast absorbing protein (as far as protein goes), which provides a good profile of amino acids and is utilized well by the body. 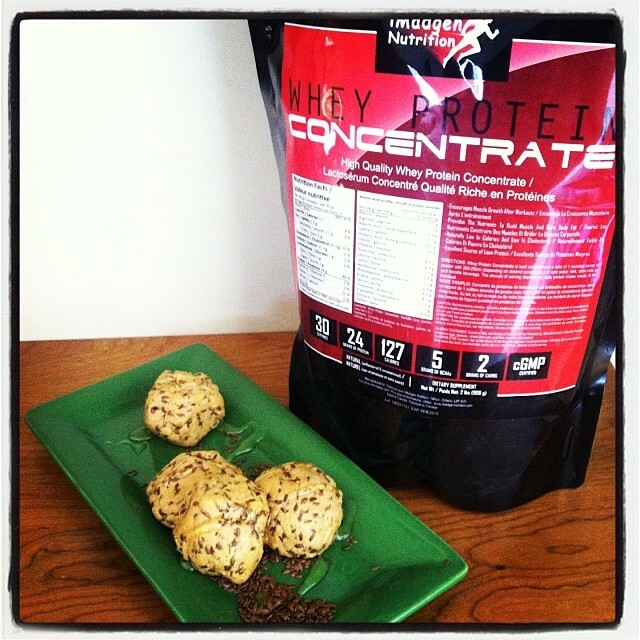 Protein intake post-training is a well-known concept, and rightfully so. Your body will not start to respond and adapt to your training until you have provided it with enough protein to balance off what was broken down during practice. Again, this is where a fast-absorbing, high-quality protein such as whey can expedite this process, making a swimmer’s recovery more efficient. Nutrient Fuelling is a cutting edge science that is not being utilized enough in swimming. There is a saying “when you eat is as important as what you eat”. This could not be more true; implementing a nutrient fuelling system into your training habits will make a huge difference in your swimming and competition performance.